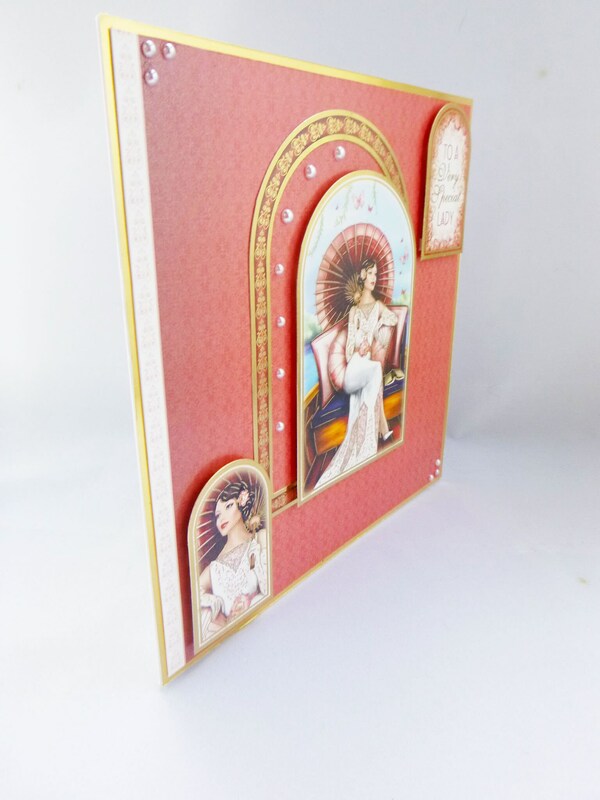 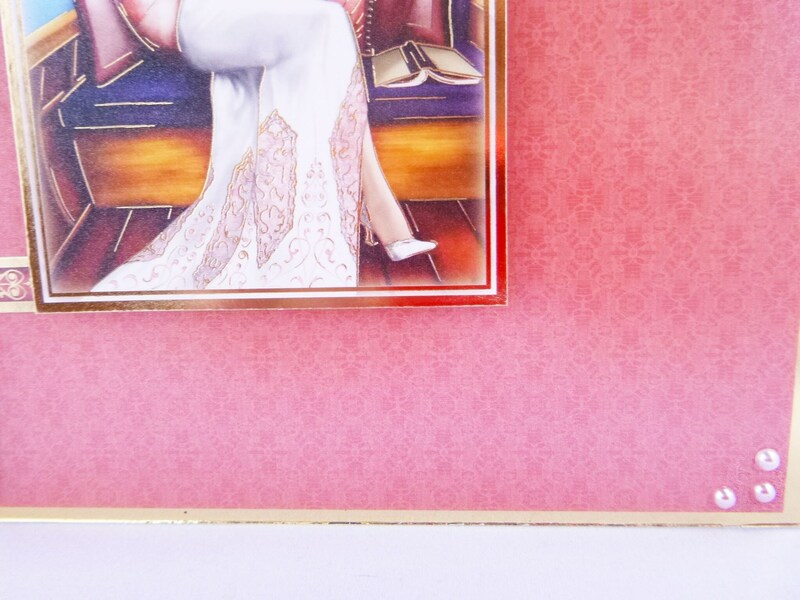 A Large Art Deco card made from white base card layered with gold card and red patterned card, with a large arch frame in the centre of the card an d a topper set slightly to the right, a picture of an elegant lady relaxing in a boat, in between the frame and the topper are several pearl embellishments. 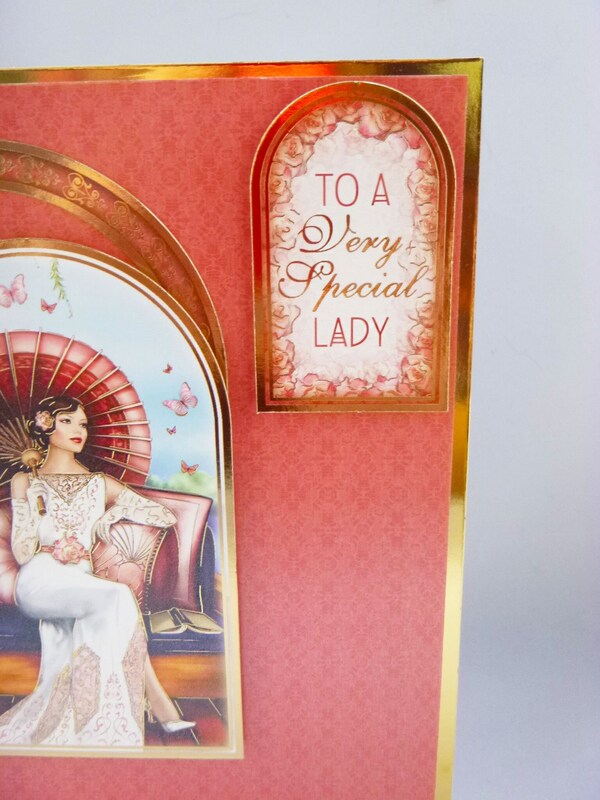 In the top right hand corner is a sentiment which says,' To A Very Special Lady'. 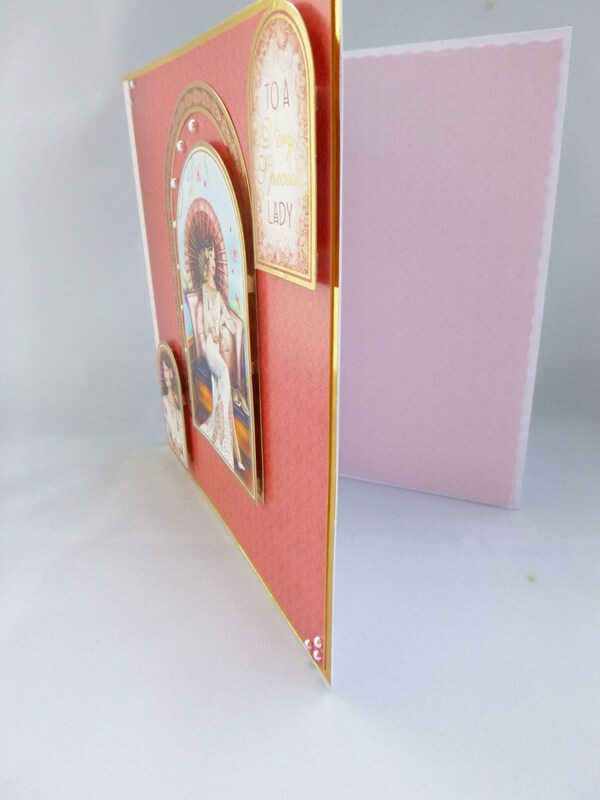 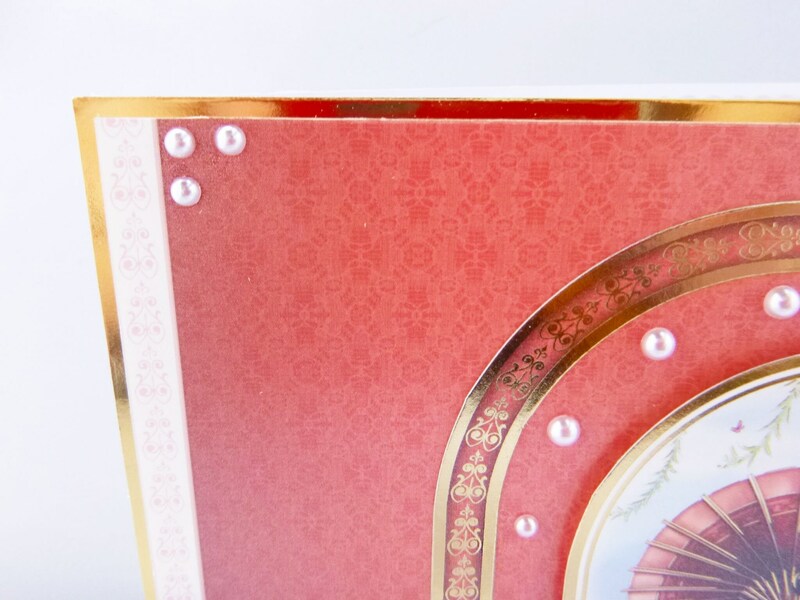 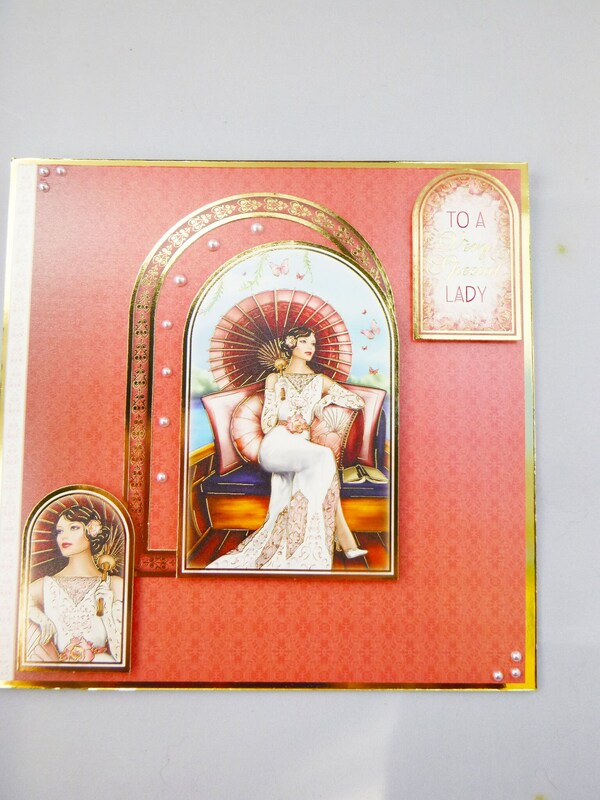 In the bottom left is a topper of the lady, in opposite corners are 3 pearl embellishments.